Home / Business / BikeBiz Awards 2008: The Winners! BikeBiz Awards 2008: The Winners! At 87 years young, Bob Chicken is currently settled in Madeira, winding down from his days as an icon of the industry. 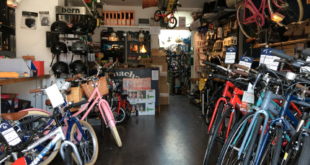 Since the 1950s, the founder of RJ Chicken and Sons has dedicated his days to serving the bicycle trade, introducing many European road bike accessory brands into the UK. Bob is a past president of the Pedal Club and the Pickwick Bicycle Club. He joined the Pickwick – the world’s oldest bicycle club – in 1954 and to this day is the longest serving member. It may seem like it has been online forever, but the Consumer Website of the Year – BikeRadar.com – was launched only in July 2007. Now regarded as one of the industry’s top sources of consumer cycling information and race news, the website received some 8.9 million page views and 909,000 unique hits during September alone. The website is popular among cyclo-tourists who take full advantage of the ‘Routes and Riding’ section where viewers can post their own track information. Like BikeBiz.com, BikeRadar also attracts attention to the website via a hugely popular forum. Future Publishing is also the publishers of Mountain Biking UK, What Mountain Bike, Cycling Plus, Pro Cycling and website Cycling News. Shown above accepting the award at Cycle ‘08 on behalf of the BikeRadar team is Future’s commercial director James Poole. Sustrans’ is covering more ground than any other organisation within cycling. Having scooped £50 million for the development of cycling in the UK late last year, the charity captured the minds of countless ITV viewers to scoop the cash in The People’s Millions. To emphasise just how strong Sustrans’ marketing team is, the figures from that phone-in show alone make a strong case. Of the 286,285 votes cast, 119,348 of those were for Sustrans’ Connect2 project. The organisation also runs Bike It, TravelSmart, Safe Routes To Schools and many more projects. Bike It tackles cycling to school. From just four cycling officers working with ten schools each to get kids cycling four years ago, today there are 25 officers covering 250 schools nationwide, as well as supervisors. To top it all off, the organisation is even on social networking super-site Facebook. There are just ten issues of Rouleur in existence (to date) and at £9 per issue, it’s not a cheap print magazine either. But as BikeBiz’s Carlton Reid highlighted in a recent interview with editor Guy Andrews, the magazine is re-assuringly expensive. The magazine reflects the drama and beauty of road-racing, so you’ll not find race results here. Content is made up of commentary and stunning photography. USE’s Exposure light range has been winning awards left, right and centre in the consumer press since it came to market and recognition in the form of a trade award will further do the brand’s reputation justice. What Mountain Bike said of the Joystick lights: “[It was] the overall winner of our group test. Offering the best combination of all our required elements was the Exposure Joystick. Using the world’s leading LED technology, the new Seoul Emitters run brighter and more efficiently than the previously used Luxeon LEDs allowing Exposure Lights to provide the rider with previously unheard of brightness. Rory Hitchens, MD at USE, said of the award: “We are thrilled to gain one of the first ever BikeBiz Industry Awards and as one of the leaders in cycling product design, to win the Innovation Award is fantastic. We have worked harder than ever to bring faster, lighter and brighter products to market in recent years. Our Exposure Lights range has been pushing new LED technology to the limit and customers have responded very positively to the ‘no messy cables’ package and the many features of our lights. The DMR brand has long been a firm favourite on any dirt jumper’s wish list. There will be very few jump enthusiasts out there who will never have owned a DMR component. The manufacturer is behind such iconic products as the V12 pedals, which gained such a loyal following that many riders refuse to run other pedals. Co-founder of DMR/UpgradeMatt Ryley, told BikeBiz: “We were extremely pleased just to have received nominations, but to be told that DMR, our own brand, had won an award for Best Sales Triumph 2008 really was the icing on the cake. “Everyone here at DMR Bikes/Upgrade Distribution is over the moon. It is fantastic that all our hard work has been recognised by the judges and we would also like to say thank you to all our customers and to everyone who voted for us. Highly regarded in the cycle trade as one of the most efficient and trouble-free distributors to deal with, Madison’s sales team took a large percentage of the votes in this year’s awards. The distributor, perhaps the UK’s largest, took the decision this year to exhibit a selection of brands at Cycle ‘08 and that’s on top of inviting its entire dealer base along to the in-house IceBike show. Hope originally began as an aerospace company, yet since 1990 the manufacturer has set its sights exclusively on producing cycle parts. Nearly all Hope product is made in the Yorkshire Dales, still led by engineers Simon Sharp and Ian Weatherill, who are both keen cyclists. The Hope design team uses the latest computer aided Solidworks 3D CAD software to ensure each product is both manufactured to high standards and attractive on store shelves. All prototyping is done in-house, meaning testing and modifications can be conducted quickly and efficiently. The company is expanding, too. Hope now has over 35 CNCs to machine components, its own heat-treatment equipment, automated polishing and an in-house anodising plant. A little-known fact about Hope is that, despite the company’s reputation as a master of braking, the first product made was actually a front hub. “We are delighted to have received the award for Distributor of the Year for bikes. Our company is a family-based business and that, we think, keeps us in tune with the majority of IBDs, while we now have the scale to be able to compete with the other major brands,” commented Hot Wheels’ MD, Russell Merry. GT’s ever strengthening line-up of adult bikes gave Hot Wheels a big opportunity to step forward when the company was appointed distributor in 2001. This was further bolstered by growing sales of GT across BMX, MTB, urban and road. Sales have now grown more than four-fold since its first year of distribution. Hot Wheels now employs 32 staff. The graphics department has seen previous recognition from suppliers with awards for marketing efforts. As further testament to the distributor’s portfolio of bikes, the sales team is selling more than ever. A thoroughly deserved award for Extra, which has invested more than ever in the numerous component, accessory and tool brands under its portfolio. The distributor’s diverse range of brands offers dealers great coverage all from one source. Customers have access to brands such as Deity, Brooks, Selle Royal, Fi’zi:k, Topeak, Hutchinson and Montane, among others, all of which consistently score well in consumer press tests. Extra’s Brian Stewart accepted the award on behalf of the team at Cycle ‘08. As the name suggests, Edinburgh Bicycle Co-operative opened as an independent retailer in Bruntsfield, Edinburgh. The stores are now instantly recognisable from the outside, thanks to the modern bright red décor. Inside the store, customers are treated to one of the widest and most diverse ranges of bicycles and accessories available north of the border. According to the Edinburgh Bicycle Co-operative’s website, every full-time Edinburgh Bicycle worker becomes a co-op member, with an equal share in the business, after serving a one-year ‘apprenticeship’. There are now 75 co-op members – a record number. The company trusts that this staff involvement will manifest itself in the form of friendly, informed professional advice from staff members. Condor celebrated 60 years in the business this year. When the first store opened in 1948 the majority of race bikes were bespoke. Condor’s business revolved around building custom bikes then – and that’s what the store has been doing ever since. The store has consistently worked to serve the local cycling community, as well as forming a racing team, which has achieved wins on international podiums. As a manufacturer of custom builds, Condor has close ties with the entire industry. The store built its reputation on the quality Italian-built frames that have become iconic worldwide on both the race scene and the roads. 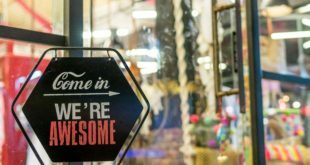 The store’s unique approach to retail has survived, despite the bespoke bicycle almost disappearing nationwide. Grant Young, managing director of Condor accepted the award on his stand at Cycle ‘08, which for the most part was packed wall to wall with fans on both the trade and consumer days. In one of the most hotly contested categories Europe’s largest online bike store took the win, despite other candidates performing well – evidence of just how popular online retailing is today. Known to all cyclists for its generous pricing, Chain Reaction is undoubtedly responsible for a large volume of first-time enthusiast purchases and the steady increase in attendance numbers at tracks and trails nationwide. Halfords was near enough unanimously voted the Non-Specialist Retailer of the Year. Many based their vote on Halfords’ charity efforts, including its campaign to support our servicemen. The chain raised money via its 430-plus UK outlets by sponsoring the Help for the Heroes Bike Ride, which took place in May. Others based their vote on experiences within the company’s BikeHut outlets. Halfords’ leisure sector, including cycling, has been continually growing despite poor summer weather. Halfords’ PR Manager Carla Lavender is pictured above accepting the award from the BikeBiz team at Cycle ‘08.